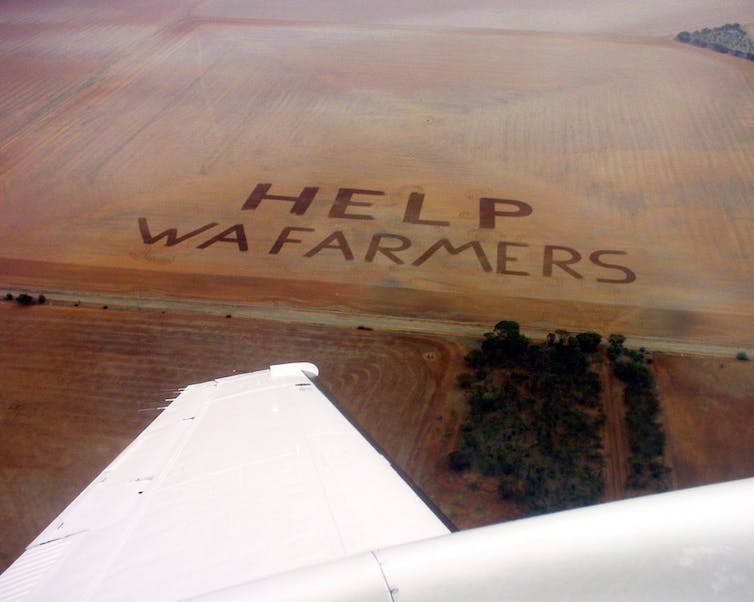 A message ploughed in the land calls on the federal government to help drought-affected farmers near the wheatbelt town of Kondinin in 2001. What can creative literature tell us about radical environmental change? Most people accept that literature can be closely connected to places. Whether it is Dickens’s London or Hardy’s Wessex, we also accept that imaginative works deliver something about the nature of place that does not necessarily come to us by any other means. How then does this work in Australia? I have spent the past decade writing a literary history of the Western Australian wheatbelt and have sought in various ways to answer this question. 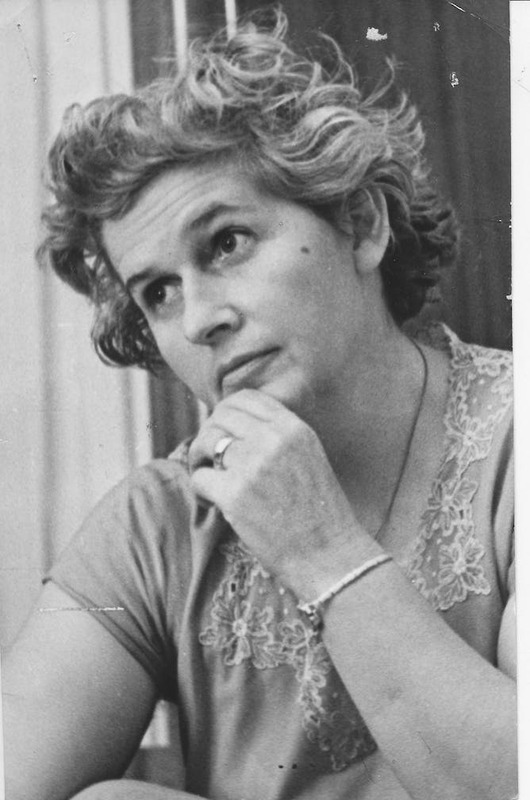 It is a regional literary history that nevertheless encompasses some of the nation’s finest writers — Albert Facey, Dorothy Hewett, Peter Cowan, Jack Davis, Randolph Stow, Elizabeth Jolley, Tom Flood, John Kinsella. 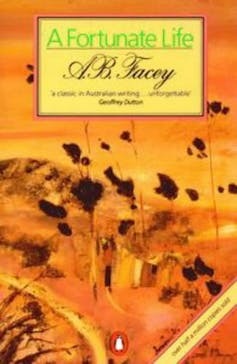 Facey’s A Fortunate Life (1981) is a landmark in Australian autobiography; Hewett, Cowan and Stow helped define literary modernism in Australia; Jack Davis was a leading figure in the Aboriginal literary renaissance; and Jolley’s The Well (1986) and Flood’s Oceana Fine (1990) both won the Miles Franklin literary award. What unites these works? Is it simply a quirk of fate that a sparsely populated hinterland in Australia’s most isolated state produces a body of literature that rivals in many ways the literary outputs of the great Australian metropolitan centres in Melbourne and Sydney? For the answer to this question one has to understand the history of the WA wheatbelt. In two 30-year periods (1900-1930 and 1945-1975) an area of land roughly the size of Britain was stripped of its native vegetation for the production of grain and livestock. It is a crescent of land that begins just north of Geraldton on the west coast and sweeps south and east to Esperance on the south coast. When the Swan River Colony was founded in 1829, six years before Melbourne, it was with the intention of forming an agricultural colony of closely settled yeoman farmers, who would own their own land and congregate in small, nicely spaced villages. The clearing of the wheatbelt during the 20th century. 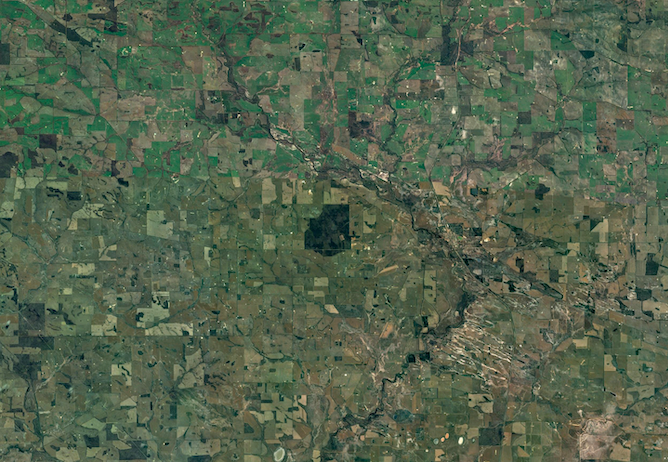 However, the antique soil of WA bore almost no resemblance to the fertile soils of recently glaciated northern Europe. Four to five more or less rainless months, where dry desert winds blow steadily across the vegetation was also an unprecedented challenge to farming methods learned in the British Isles. Lastly, there were almost no rivers to speak of, and permanent summer water was a rare commodity. WA Government land advertisement from 1904. For all these reasons, the agricultural dream of WA remained largely unrealized. The game-changing event was the goldrush of the 1890s. The population of the colony trebled between 1889 and 1896, from 44,000 to 138,000. Knowing that the gold would be dug out before too long but wanting to capture this new cache of colonists, the colonial government passed the Homesteads Act in 1893 to parcel out land, and established an Agricultural Bank in 1894 to finance farmer-settlers. An army of land surveyors fanned out through the southwest and provisions for water, fertilizer and rail transit were quickly put into motion. Towns were gazetted, one-teacher schools popped up and WA took the lead in distance learning. Albert Facey’s uncle Archie McCall had come over from South Australia to work the goldfields and was one of those who leapt at the land offer. Dorothy Hewett’s grandparents had made their money selling goods to diggers heading out to the goldfields at Kalgoorlie and Coolgardie and with this they purchased an extensive parcel of prime land at Yealering not far from McCall’s farm at Wickepin. What we get in both of these very different writers is a distinct picture of the dream of the wheatbelt. It is this dream — a settler-colonial ideology of farming independence — that we see refracted through the wheatbelt writers all the way through the 20th century. The animating vision of the wheatbelt was an amalgam of ideals. On the one hand, it appealed to the basic material prospect of upward mobility. In the late 19th and early 20th century, opportunities for advancement through education were not generally available. But the wheatbelt vision seemed even more deeply situated than this, offering itself as an antidote to the ills of modern city life. As the various states all moved to convert low-yield pastoral production to high-yield cash-cropping, there emerged a veritable ideology of wheat in the post-Federation years, and right through to the Depression. Dennis and others helped to drag crop-farming away from its associations with European peasant drudgery and into the noble task of nation-building and feeding the “bread-eating” (i.e. European or European-derived) countries of the world. For Facey, even though his memoir was not published until 1981 (the year before he died), the dream of the wheatbelt and the ideology of wheat remain preserved as if in amber. 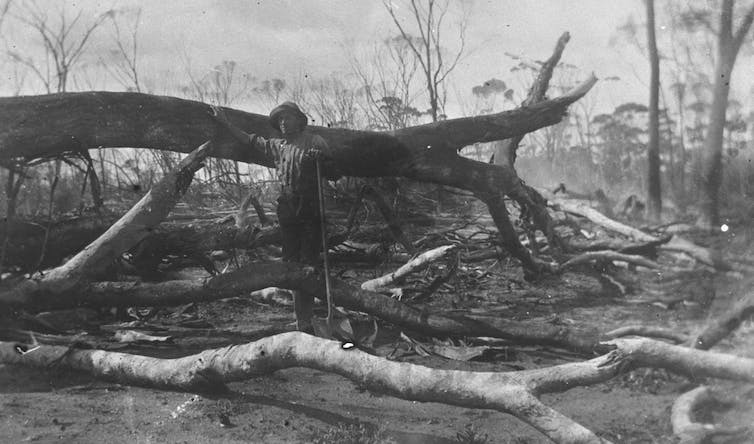 The basic tasks of “clearing” the wheatbelt — particularly the regimes of annual burning and cutting — are remembered with particular pride by Facey. Born a generation and a half later, Hewett grew up in a farm that was already in place. Although she left Lambton Downs (as it was dubbed) at the age of 11, Hewett’s writing returned again and again to the wheatbelt. Hewett’s wheatbelt had a mythic, gothic flavour in which the dream of it is present but often in inverted form. This wheatbelt is beset by a pernicious fatality and mired in the sexual miseries of her extended family. Hewett deserves credit for being the first writer to take seriously the fact that the wheatbelt was built on land whose traditional owners had not disappeared but were still there, either impoverished in fringe-camps or incarcerated in government or church institutions. But it was the emergence of Aboriginal writing in the generation politicized by the citizenship referendum that brought a powerful voice from the other side of the wheatbelt frontier. 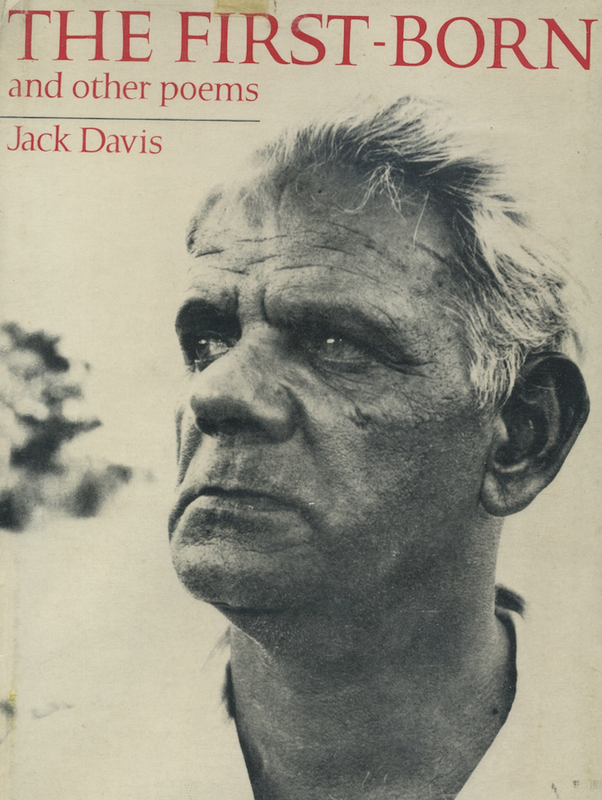 Jack Davis had spent time in the notorious Moore River Native Settlement on the edge of the mid-northern wheatbelt, and then (after the untimely death of his father), with relatives of his mother’s sister at the Brookton reserve in the Avon valley. There he did the usual itinerant work that Aboriginal families did in the wheatbelt’s early years — clearing, fencing, shearing, rabbiting. What Davis gives us in his poetry of the 1970s and the great plays of the 80s is a completely alternative vision of the wheatbelt. It doesn’t look like wheatbelt literature for the simple reason that it does not proceed either positively or negatively from the wheatbelt dream. Instead, it proceeds from Aboriginal presence in the land. The tragedy of the Noongar is shown in all its woeful extremity, but tempered by Davis’s astringent sense of humour—his black humour if you like. But really Jack Davis is writing about survival. His example has provided a platform for a writer like Kim Scott to foster new forms of Noongar creative re-emergence, and also new forms of penetrating critique. 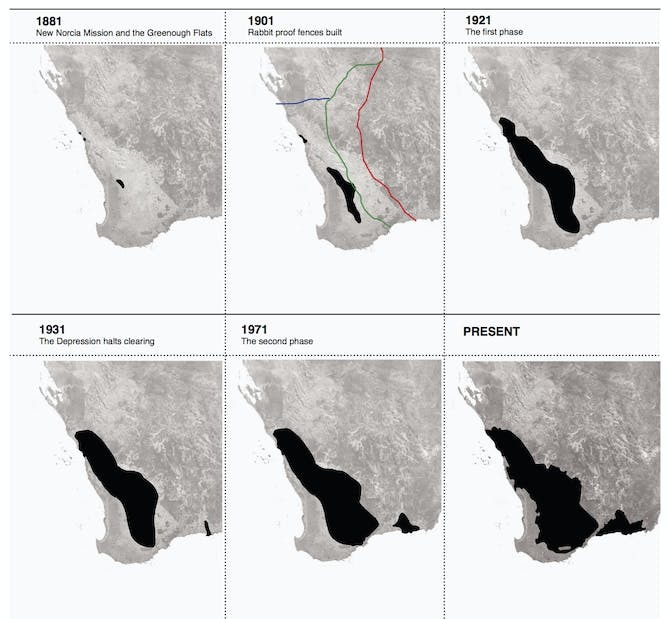 At the same time that a consciousness of Aboriginal dispossession began to force its way into the understanding of the wheatbelt, a much sharper sense of its ecological cost was also starting to emerge. Certainly, right through my literary history of the wheatbelt there was a realization that the waving fields of wheat were planted on lands stripped of their native ecosystems. Everyone knew this because everyone spent a considerable part of each year toiling to clear the land. But the view tended to be that there was always more bush. Each bit of clearing was a merely local matter. Likewise, as rising salinity became directly associated with the clearing of native perennial vegetation, it was repeatedly explained away as a small, local, confined phenomenon. But in the writing of Peter Cowan and that of the naturalist, Barbara York Main, the full picture of environmental destruction began to appear without the customary euphemism. It would be wrong to say that public opinion, particularly in the wheatbelt, changed decisively in the 1960s or even the 1970s. The cart-blanche denial, however, of environmental value — that the natural world of the wheatbelt had a value — became harder and harder to maintain. By the 1980s, the wheatbelt had become uncanny. No longer the sign of the natural cycles of life replenishing the earth with seasonal regularity, but a vast and even repellent monocultural expanse. 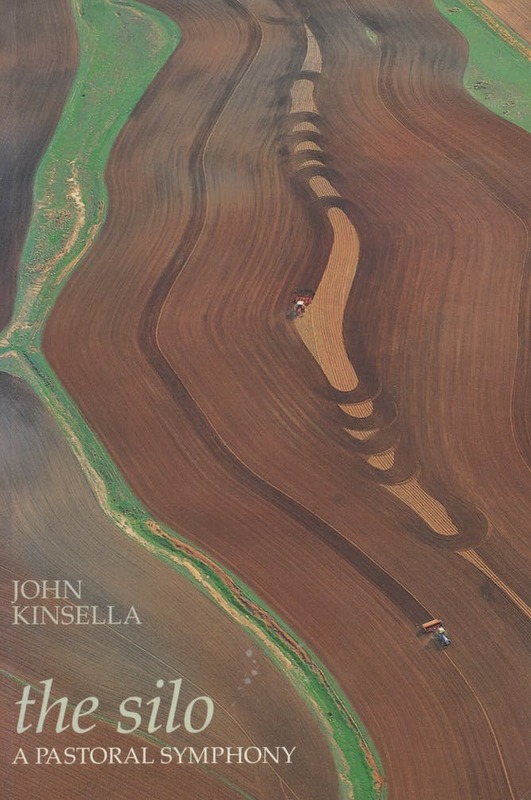 The wheatbelt was something profoundly unnatural in the eyes of writers like Elizabeth Jolley, Tom Flood and John Kinsella. Of these, it has been Kinsella who has proved to be both durable and prolific. His poems, stories and other writings specify a wheatbelt that exists in strange cross-currents of science, tradition and avarice. The natural world is prised out of its familiar romantic categories and, in his remarkable work, exists in eerie counterpoise to the techno-scientific mania of modern agribusiness. The central fact of the wheatbelt is radical disappearance. On one hand there was the destruction of the sovereign culture of the Noongar, custodians for millennia. Noongar people continue to practice and uphold their culture in spite of everything and the land continues to speak through them. But on the other hand we must also contend with the fact that in the central wheatbelt shires, at least, only something like 7% of the natural vegetation (and the animal habitat it provides) remains. This, in a place that has a biodiversity as stunning as a rainforest canopy. Charred timber after the ‘burn’. Literature cannot, in and of itself, make these losses good. A thousand novels cannot replace one extinct species. But in human terms there is hope. The Noongar language is being revitalized. And here literature certainly does have a role to play. Jack Davis used Noongar in his plays and provided his own glossaries. Kim Scott’s fiction, and occasional poetry, gives its readers Noongar — in fact teaches its readers Noongar and the deft sonics of a language adapted to country. And many of today’s farmers are now at the forefront of conservation initiative and Landcare groups. The role, though, that I see for literature in coming to terms with the facts of the wheatbelt lies in its capacity to continuously disabuse us of the complacent certitudes by which we think we know the world. It need not require the experimental bravura of Kinsella’s postmodern verse to do this unsettling. Even the older writing does it in surprising ways. Only 7% of the central wheatbelt’s natural vegetation is left. What Dorothy Hewett and Jack Davis do within the broad parameters of theatrical realism nevertheless succeeds in unpicking the simple pouches we tend to pack our conceptions in. Barbara York Main’s natural histories throw open the dazzling singularity of wheatbelt life forms, and at the same time their intricate interconnections. Peter Cowan’s quietist studies of disillusioned loneliness, defamiliarises the wheatbelt just as certainly as Facey’s childhood glee at burning the bush to smouldering ashes. It is not a particular kind of literature that gets to the “heart” of the wheatbelt. It is the fact that the wheatbelt falls into the prism of literature that allows us to see this place in terms other than the ones it gave itself via its animating dream of agricultural plenitude and generational continuity. Creative writing is not blind to the natural or economic forces that determine the fate of the wheatbelt, but it will always approach the matter through the medium of human subjectivity. In this sense, it is only literature that allows us to see inside the wheatbelt that was created, geologically speaking, in the blink of an eye. Prime Minister Malcolm Turnbull is seeking changes to Australia’s national environment act to stop conservation groups from challenging ministerial decisions on major resource developments and other matters of environmental importance. Turnbull is reviving a bid made by former Prime Minister Tony Abbott to abolish Section 487 of the Environment Protection and Biodiversity Conservation Act (EPBC Act) – a bid rejected in the Senate in 2015. If it goes ahead, the change will significantly diminish the functionality of the act. The EPBC Act, introduced by the Howard government in 1999, has an established record of success. Judicial oversight of ministerial discretion, enabled by expanded standing under Section 487, has been crucial to its success. Section 487 allows individuals and groups to challenge ministerial decisions on resources, developments and other issues under the EPBC Act. An organisation can establish standing by showing they have engaged in activities for the “protection or conservation of, or research into, the environment” within the previous two years. They must also show that their purpose is environmental protection. Repealing this provision would remove the standing of these groups to seek judicial review of decisions. Standing would then revert to the common law position. That means parties would need to prove they are a “person aggrieved” by showing that their interests have been impacted directly. Many environmental groups will be unable to satisfy the common law test, leaving a very small group of people with the right to request judicial review – essentially, the right to check that federal ministerial power under the EPBC Act has been exercised properly. This is likely to have a devastating impact on fragile ecological systems and biodiversity conservation strategies. This is particularly concerning given the dramatic changes affecting the environment from the expansion of onshore resource development and the acceleration of climate change. Why do we have the EPBC Act? The EPBC Act was designed to promote the introduction of ecologically sustainable resource development. This means federal environment ministers must take into account the economic, environmental and social impacts of proposals. Since its implementation, Section 487 has proved critical to the success of significant achievements in environmental protection and management. Here are just a few examples. The Nathan Dam case handed down in 2004 tested the protective scope of the EPBC Act. Using Section 487, the Queensland Conservation Council and WWF Australia challenged the Federal Environment Minister’s decision to approve the construction of a large dam in central Queensland. The dam was built to supply water for crop irrigation and other developments in the catchment of the Great Barrier Reef World Heritage Area. The issue was whether the minister, in granting approval, was required to take into account the impact of pollution from farmers using water supplied by the dam. The Full Federal Court held that adverse impacts such as downstream pollution by irrigators did need to be taken into account by the minister. The importance of this decision lay in the finding that the scope of the EPBC Act was very broad, requiring the minister to consider indirect environmental impacts, including the acts of third parties where those acts could be reasonably anticipated. The decision also resulted in an amendment to the definition of “impact” set out in the act. In the 2006 Wielangta Forest case Senator Bob Brown of the Australian Greens argued that Forestry Tasmania’s operations were having a significant impact on three threatened species: the Tasmanian Wedge-Tailed Eagle, the broad-toothed stag beetle and the Swift Parrot. The Federal Court held that the loss of habitat was cumulative and had a dramatic impact on the three protected species. The court concluded that the objectives of the EPBC Act were to protect threatened species as well as restore populations so they were no longer threatened. Forestry Tasmania had not complied with the Regional Forestry Agreements Act, because there was insufficient protection provided for threatened species. This meant that Forestry Tasmania could not claim an exemption from the application of the EPBC Act. The decision is important because it highlights the ability of the Act, where judicial review is sought under Section 487 by an interested party, to determine the suitability of state practices for the protection and restoration of endangered species. The case brought by Humane Society International Inc (HSI) against Kyodo Senpaku Keisha Ltd (Kyodo) tested the scope of the EPBC Act to protect endangered species in international waters. HSI sought to stop the Japanese company from scientific whaling in the Australian Whale Sanctuary. In response, Japan claimed it did not recognise Australia’s sovereignty over the Antarctic waters that lay within the sanctuary. The Federal Court declared that Kyodo was in breach of the EPBC Act and granted HSI an injunction restraining Kyodo from committing further breaches. HSI’s standing under Section 487 was critical – without it, the case would not have been brought. In 2014 and 2015 two cases were brought challenging the decision of the Federal Environment Minister, Greg Hunt, to approve the Carmichael coal mine. The coal mine, one of the world’s largest, was to be developed by a subsidiary of the Indian company, Adani. In early 2015 the Mackay Conservation Group brought an action in the Federal Court arguing that the Minister had failed to consider two listed threatened species, the yakka skink and the ornamental snake. No judgement was issued, but the court issued a statement that the Minister had failed to take these species into account when making the approval. In 2016, the Australian Conservation Foundation brought a further case arguing that Hunt had failed to take account of the climate impact from the mine. It’s estimated the burning of coal from these mines will generate approximately 4.7 billion tonnes of greenhouse gas emissions. In ACF v The Minister for the Environment, the Federal court concluded that the decision of the Environment Minister was legal, did not breach the EPBC Act and did not contravene the precautionary principle because there was no threat of serious or irreversible environmental damage to the Great Barrier Reef National Park. ACF then sought an appeal from this decision to the Full Federal Court on the 16th of September, 2016. When handed down, the decision will be crucially important for the future of climate governance in Australia. None of these decisions would have been possible without the groups’ standing under Section 487 of the EPBC Act. Removing these provisions undermines the foundational objectives of Australia’s national environmental act at a time when its protective capabilities are needed most. Australia recently gained an unenviable title: perhaps the first country to lose a mammal species to climate change. The Bramble Cay Melomys, a native rodent found on one tiny sand island in the remote northern regions of the Great Barrier Reef, reportedly became extinct after rising seas destroyed its habitat. The melomys’ likely extinction is a symptom of the massive changes taking place across the natural world. Faced with these changes, we cannot possibly save every species without increasing funding for conservation. We should be trying to conserve everything we can, or at least minimising the number of plants, animals and ecosystems that are lost. The problem is that Australia’s conservation laws presume that we can preserve everything in its natural state. But in a changing world, we’ll have to be more flexible than that. Our conservation laws were drafted on the assumption that, if human intervention could be avoided or managed, plants and animals would survive in their natural, pristine environments. We now know that that is not the case. Nature is dynamic. Humans have had a pervasive influence on the environment and recent research suggests that pristine environments no longer exist. Climate change will rapidly accelerate environmental change. Shifting temperature and rainfall will shift the specific conditions that species depend on to survive. Everything will be on the move. On top of these gradual climate shifts, more frequent and intense bushfires, storms and heatwaves will destroy some habitats and increase the threatened status of many species. In some cases, these extreme events may result in localised extinctions. Climate change is creating new problems for biodiversity (such as new invasive species) and is making existing problems worse (such as by changing fire patterns). What does conservation mean if we can’t save everything? Far from making conservation law irrelevant, these challenges mean that conservation policy and laws are more important than ever. Expanding land and marine reserves, restoring and connecting habitat with other areas, and reducing other threats such land clearing or feral animals are all important climate adaptation strategies. But many Australian plants and animals will not be able to move fast enough to escape extreme events or to keep pace with their specific climate niches on their own. To conserve these species, we may need to engage in high‑intervention conservation strategies, such as assisted colonisation. This involves moving an individual, population or species to a place where it has never been found before. This tactic is being investigated for the endangered Western Swamp Tortoise in Western Australia, as its wetland habitat begins to dry out. Conservation laws in Australia were not designed to accommodate these kinds of dynamic and proactive approaches to conservation management. Current conservation laws promote keeping or returning the environment to what it used to be, whether that is pristine or not. In a recent paper, we looked at three ways laws may impede conservation in a changing world. First, current laws emphasise maintaining the current status and location of ecosystems and their constituent parts, or returning them to an “undisturbed” state. Second, they place high value on biodiversity that is rare, native and wild. Finally, they emphasise reserves (especially on public land) as the sites for most conservation effort. For example, national park laws typically require agencies to conserve national parks in their natural state. This is usually defined by the plants and animals that are already there or that have been found there in the past. But some species might need to be moved into national parks, even if they have never been found there before, or out of national parks to somewhere more climatically suitable. Current laws do not let us do this. Rather than an outdated idea of what is “natural”, we need new objectives that focus on diversity and ecosystem function and health. If introducing a plant or animal into a national park will increase its chance of surviving under climate change and will not undermine the health of the park’s ecosystems, the introduction should not be excluded just because the species is not “native” to that specific park. This approach would help species adapt through movement across boundaries. Another example of a potential legal roadblock is the emphasis on individual threatened species in both legal protection and funding. For instance, the Coalition government has pledged AU$5 million for specific actions to protect some of the most endangered of Australia’s listed threatened species. But this is an example of assuming that we can save everything. The contracting ranges and already precarious status of many listed species make it unlikely that we will be able to conserve them all, and impossible to do so in their historic locations. Choices based on what species we fund are rarely transparent and the public is rarely consulted about what we value the most. We need to have a conversation about how we value species and ecosystems in a changing world. If more people realised that we cannot save everything, perhaps more people would demand that appropriate funding is allocated to saving as much as possible. While funding remains limited, we need objectives that reflect the certainty of some loss of species in the wild and that clearly define the criteria we are using for targeting some species for protection while letting others go. Our conservation laws direct how we will act to save species and ecosystems under climate change, and whether we will succeed. But climate change makes our current objectives unachievable. We must not give up on conserving as much as we can as the climate changes. Laws can be used to help us achieve this goal. But we urgently need a national conversation about what reform is needed to ensure the best possible conservation results for Australia’s precious wildlife, plants and ecosystems.